The first thing to keep in mind is that it's not only education institutions that offer scholarships; don't limit your search to checking with the university you want to study at, but also look at scholarships from private foundations and companies (for example Microsoft). Also, many governments have scholarship programmes for international students: for example, the UK offers the Chevening scholarships, Germany provides funding via DAAD and you can study in Hungary with the Balassi Institute. Erasmus+ (Erasmus Mundus joint master’s degrees) offers EU funded scholarships for various master's and doctorate programmes. Check the Commission’s catalogue for programmes available in the next academic year. If you see a course you like, you need to contact the consortium offering the programme for more information and application details. Interested in widening your student experience to countries outside Europe? The Scholarship Portal contains a database with over a thousand scholarships available in countries all over the world. Select your desired level (from high school to post-doctoral), the country you're from and the country where you want to study and the search engine spits out the scholarships that match your profile. 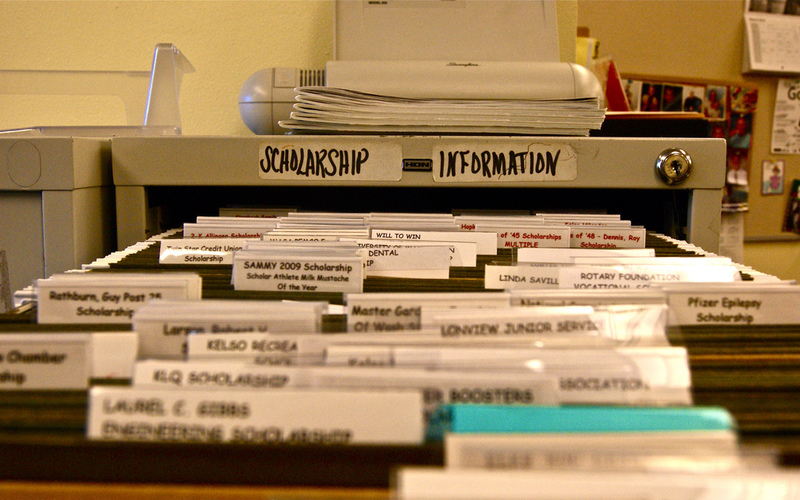 Start searching (and applying) for scholarships as early as you can. Most application deadlines are at the beginning of the year in which the course starts, so don't wait until the spring if you want a scholarship for September. Apply for as many scholarships as possible (provided you're eligible, of course). You might think there'll be so many applications that you don't stand a chance, but if you don't apply you might miss out on the opportunity of a lifetime. You never know! Nothing ventured, nothing gained. Get organised! Make a list of the deadlines you don't want to miss and don't wait until the last day to start writing your application. It takes time, but it'll all be worth it when you get that money. Those party pics on Facebook are always entertaining, but you might want to consider cleaning up your account or revising your privacy settings. Though fun for friends, these photos are just a Google search away from the screen of the person assessing your application and it might be a little soon for them to see you in party mode. Don't worry too much if you don't get a scholarship. Try again for the next academic year or think about other ways of funding your ideas. Or maybe take a gap year to travel or do some voluntary work?